BEACH STUDIO IN VIP CONDOCHAIN WITH GREAT OCEAN VIEWS! This beach studio offers great views towards the ocean. The condo is located on the 16th floor! It consists of a combined living room/bedroom, a pentry space, slide doors leads out to balcony where you have a view of the ocena nad towards Ban Phe. There is a kitchen space with sink, tap and lower and upper cabinets. 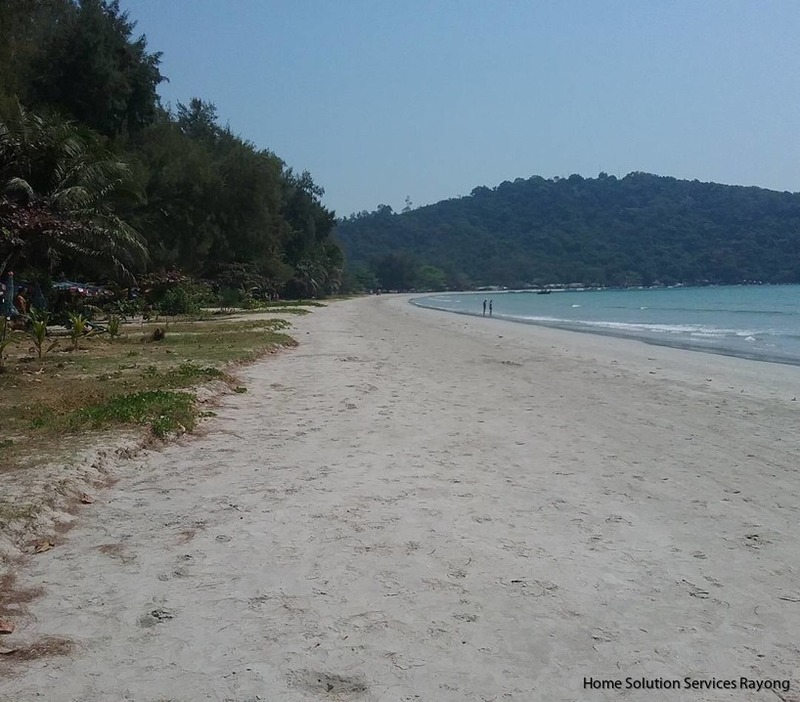 This is a well maintained and popular residential project located directly on Mae Ramphuengs beach road. The beach is located just across the road from the building. Here you and your family can enjoy the pool area with sun chairs and sun beds. For those who want to exercise during the holidays VIP offers a good gym, as well as both a tennis court and a basketball court. There is a popular beach restaurant just outside VIP ans also a pizza/pasta restaurant. Property type: Condo/ Freehold for foreigners. Living area: 36 m² including 1 balcony. Enjoy an amazing view of the ocean and towards Koh Samet from the spacious balcony on the 13th floor. The condo is equipped with a 2 single beds bed. There is a large closet in the hallway. There is also a door to the adjoining condo. This door can be closed or a 2nd option is to buy the neighbouring condo. Price for both condos is 3,200,000 THB. Size together is 106 sqm. Rooms: 1 studio room with bathroom. Living area: 53 m², including balcony. Price: from 2,359,000 THB (Condo to be sold with the Deluxe package). This renovated 1 bedroom condo is located on the ground floor of Victory View condo. The condo is ready to move into. The condo consists of 1 living room, 1 bedroom and 1 bathroom. There is also a small glass-enclosed space in the bedroom where there is a bench with a sink installed. There is AC in the bedroom. Good storage possibilities in the built closet. 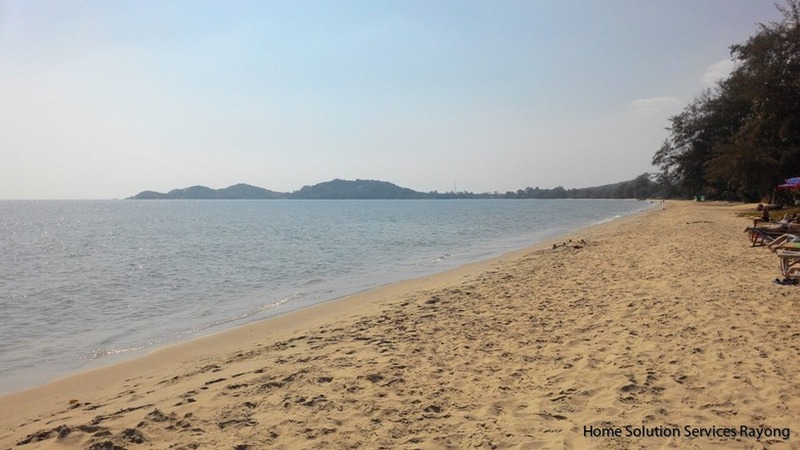 The lovely beach is only 80 meters away. 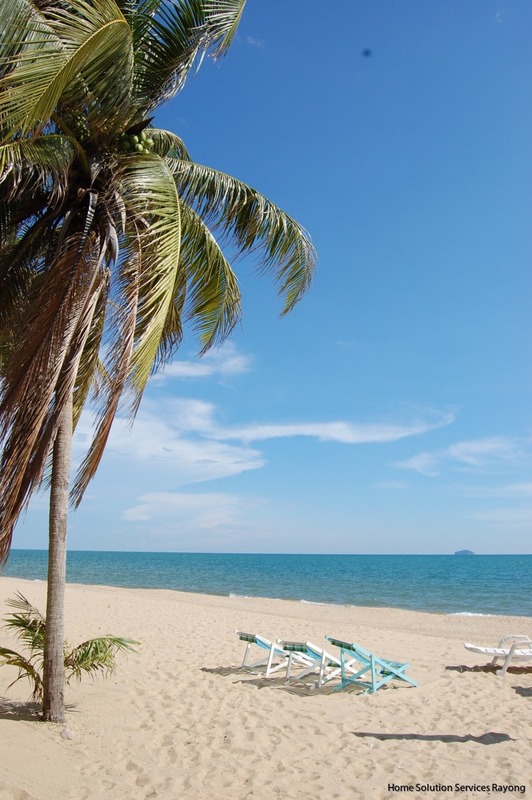 Enjoy this beach condo in Rayong Condochain only 80 meters from the beach. The condo consists of a combined living room/bedroom and 1 bathroom. The condo is equipped with 1 bed. The condo has been partly renovated with a new floor and painted walls. The condo has been partly renovated with new floor tiles and newly painted walls! 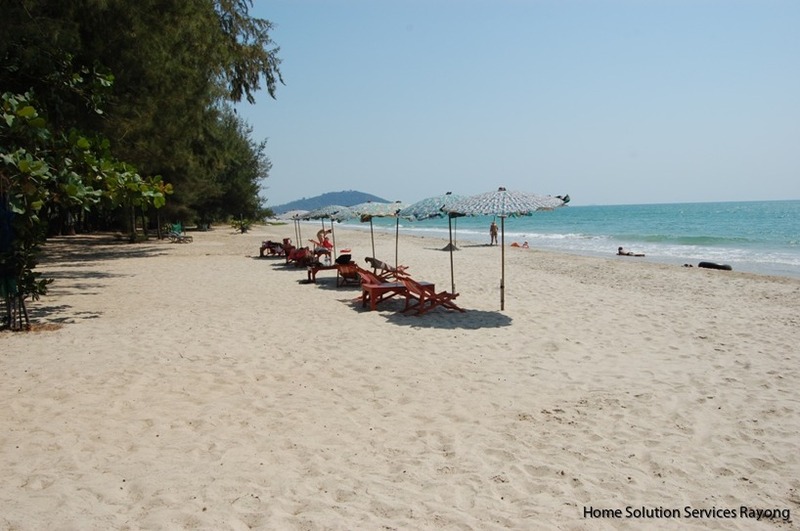 Rayong Condochain is located on beautiful Mae Ramphueng beach in Rayong province. 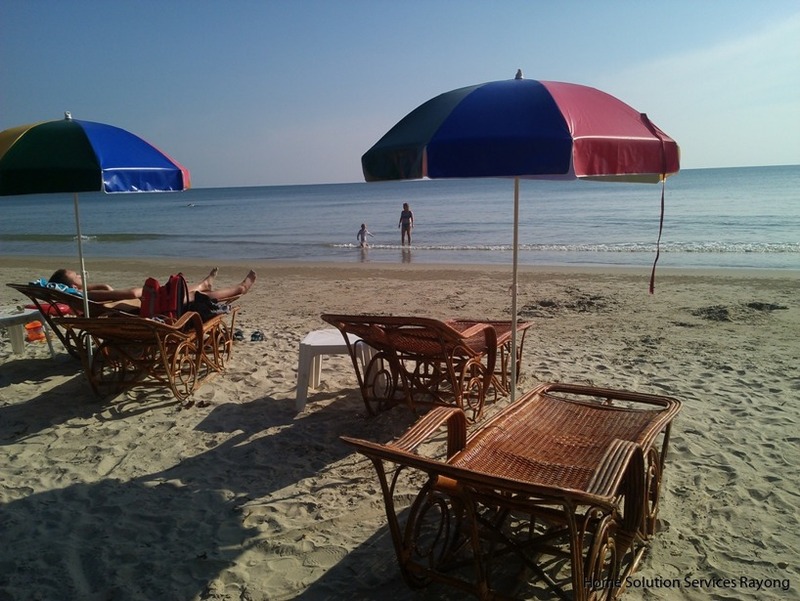 Here you will find alot of simple but nice beach restaurants... Less than 2 hours from Bangkok airport and close to many golf courses. Number of rooms: Studio room with combined living room/bedroom, 1 bathroom. ATTRACTIVE 1 BEDROOM CONDO IN THE ROYAL RAYONG! We can now offer this 1 bedroom condo on the 17th floor of Royal Rayong. The condo consists of a spacious combined living room and kitchen, 1 bedroom with a balcony and 1 bathroom. 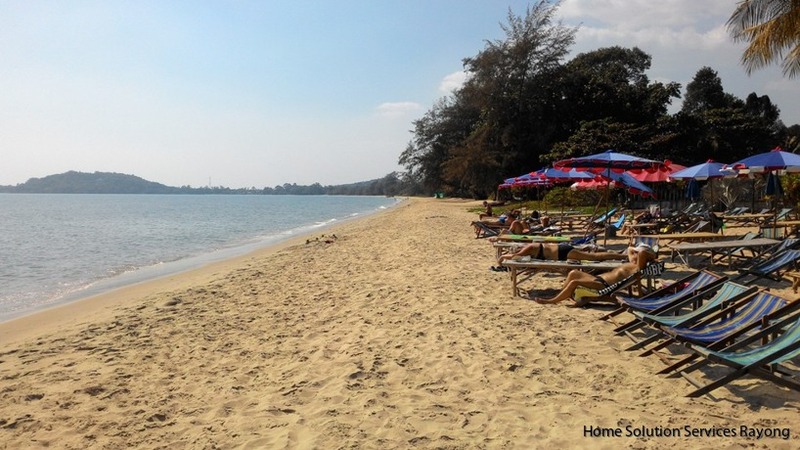 Added to this is a large balcony with AMAZING ocean views and also of Koh Samet and towards Ban Phe area. The condo is fitted with built in closets and cabinets of good quality. The kitchen is equipped with a stove and sink and lots of storage facilities. The Royal Rayongs facilities includes a gym and a beautiful swimming pool. At the front of the house there is also a pizza / pasta restaurant. 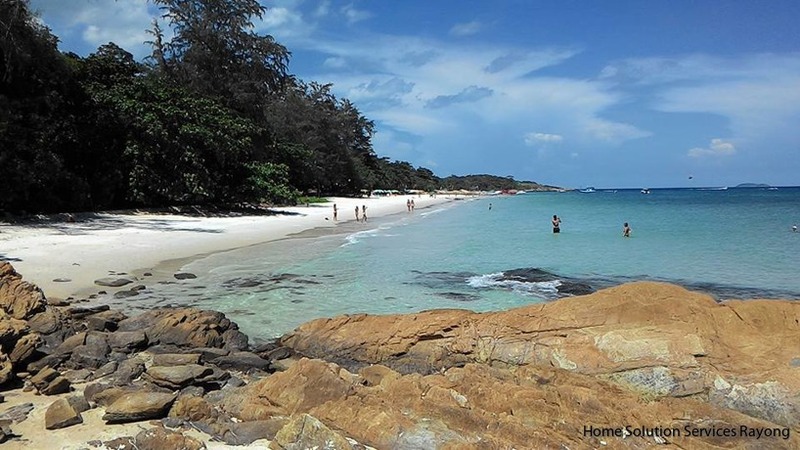 Mae Ramphueng beach is just 80 meters away. 1 BEDROOM CONDO IN VIP CONDOCHAIN WITH AMAZING OCEAN VIEWS! 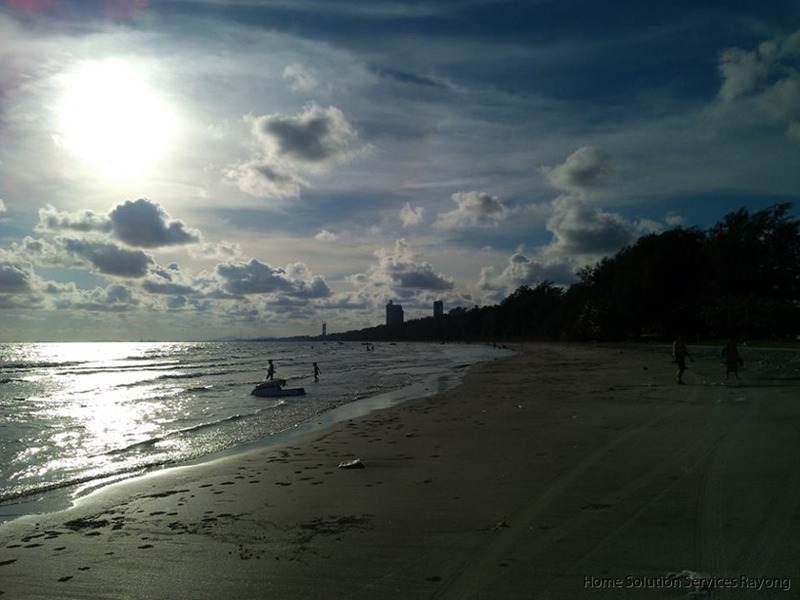 This 1 bedroom condo offers great views towards Koh Samet, the ocean and the sunset. The condo is located on the 27th floor! It consists of a living room with a kitchen space, slide doors leads out to balcony 1. There is 1 bedroom, with an ensuite bathroom, also here slidedoors lead out to a balcony. Both 2 balconies offer amazing views. There is a kitchen space with sink, tap and lower and upper cabinets. Living area: 72 m² including 2 balconies. The swimming pool is not availble at the moment! ATTRACTIVE ALREADY RENOVATED AND READY TO MOVE IN BEACH CONDO! 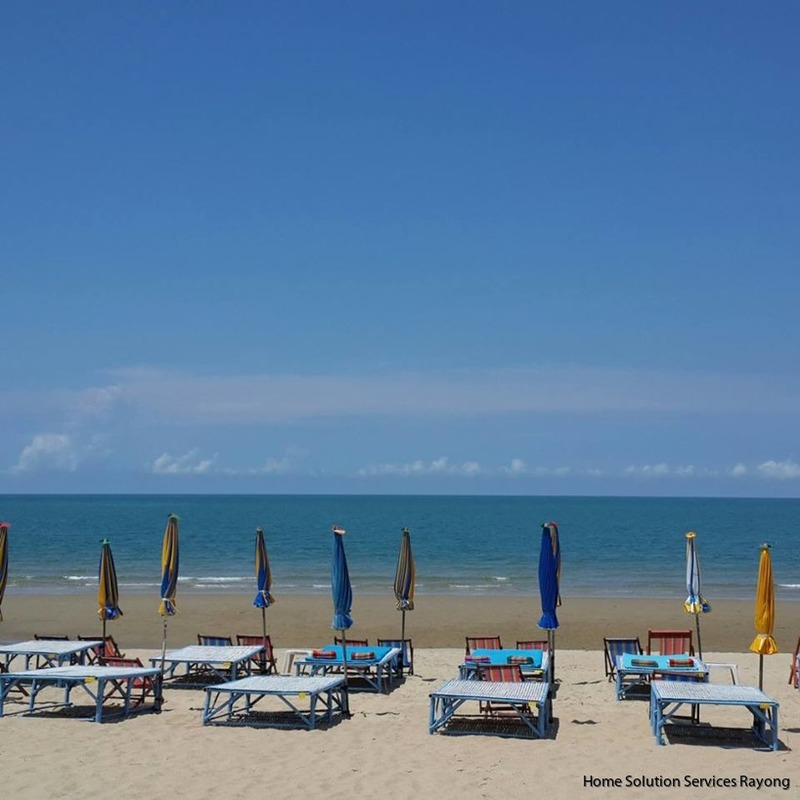 We can now offer this attractive fully renovated beach studio on the 7th floor of Rayong Condochain on Mae Ramphueng beach. Here you can just move in... no need for any extra renovations.. it has all been done already! The condo of 28 m² consists of a combined living room /bedroom, bathroom and balcony.The condo has a large kitchen/closet as you come into the condo. The kitchen is equipped with a stove, hood, sink/tap and also a refrigerator. Lots of space in upper and lover cabinets and drawers. To save space in the condo the condo has a bed cabinet, easy to manouvre and there is also a bedsofa with a glasstable. On the wall there is a TV and Internet can of course be installed. 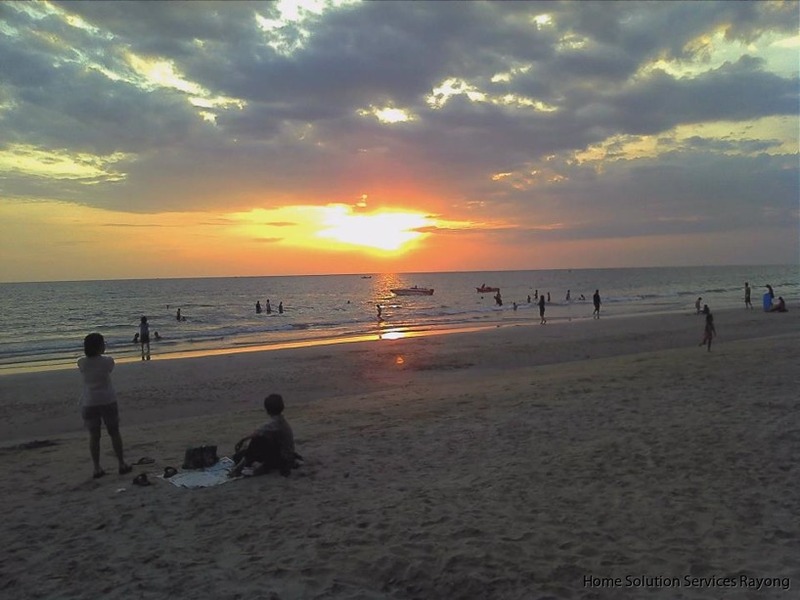 Rayong Condochain is located on beautiful Mae Ramphueng beach in Rayong province. 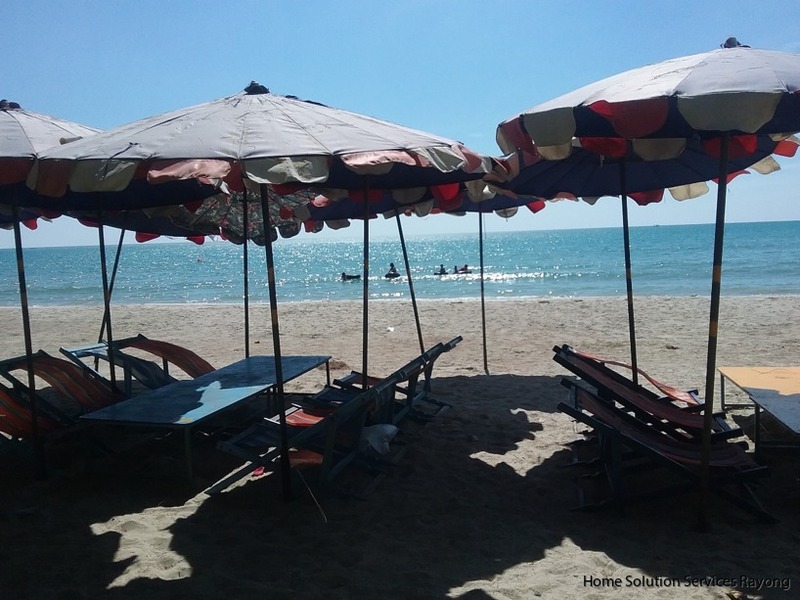 Here you will find alot of simple but nice beach restaurants... Less than 2 hours from Bangkok airport and close to many golf courses. 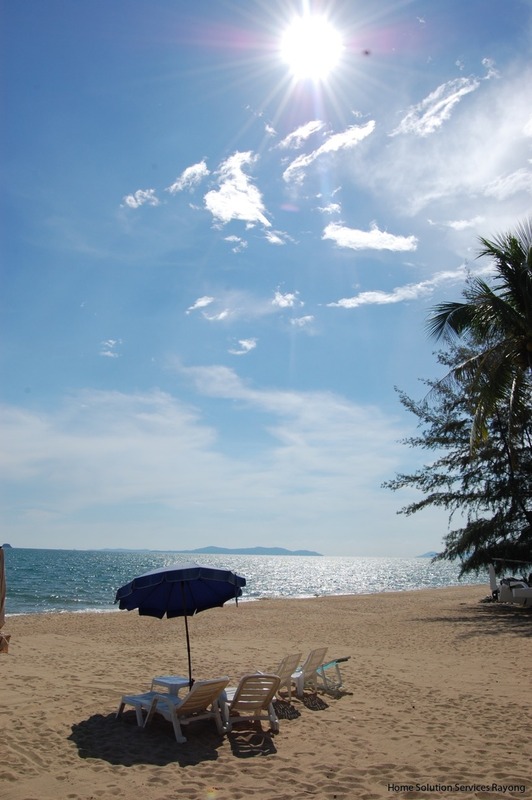 Welcome to Rayong province with the most sunshine in Thailand! 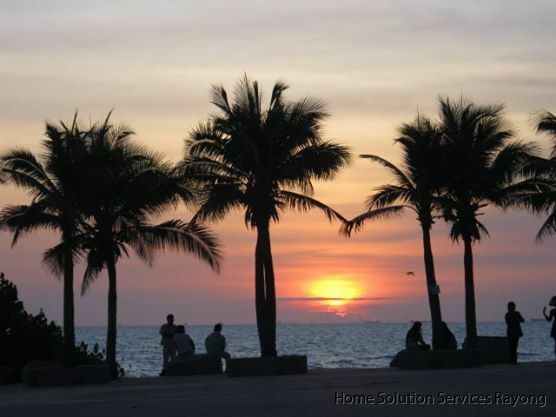 Very Attractive fully furnished 2 bedroom condo in Palm Leaf, Rayong. The condo consists of a spacious open plan living room/kitchen. The modern western style kitchen is equipped with a stove, hood, a large oven and refrigerator. Plenty of storage space in upper and lower cabites and drawers. There is a kitchen island for serving breakfast and other meals. Slide doors lead out to the spacious balcony, perfect for relaxing with family and friends with a view of the pool area. Furnished with a dining table and chairs. There are 2 bedrooms and 1 bathroom. The main bedroom has a door leading to the large balcony. Number of rooms: Living room and kitchen. Living area: 76 m² including large balcony. 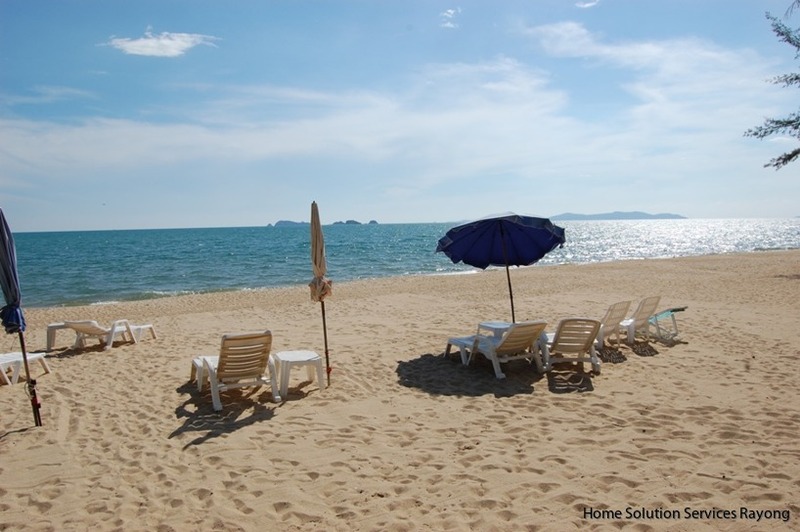 Attractive fully furnished 2 bedroom condo on beautiful Mae Phim beach. The condo consists of a spacious living room furnished with a sofa and dining table. Glass doors lead out to the spacious terrace from where you can easily go to the lovely swimming pool area. There are 2 bedrooms and 2 bathrooms. The master bedroom is equipped with double bed. Enjoy cooking in the fully equipped kitchen. You will find a stove, oven and a hood and coffee machine. Furthermore, there is a washing machine installed. All rooms are equipped with AC. Possibilities for good rental business. Sea view Condominium has an attractive pool area and an also gym for those wishing to stay in shape. This is a leasehold condo. Living area: 80 m² including terrace area. The condo is located on the 13th floor of VIP Condochain. It offers a good ocean views. The condo consists of a combined living room and kitchen (including stove and refrigerator) and a bedroom with ensuite bathroom (equipped with a Jacuzzi) and 2 balconies. The condo is move in ready sold furnished! 3 BEDROOM CONDO WITH AMAZING OCEAN AND SUNSET VIEWS ON THE 26TH FLOOR! Enjoy an amazing view of the ocean and sunset from 3 spacious balconies on the 26th floor of New World condo. The condo is consists of a combined living room/kitchen, 3 bedrooms and 3 bathrooms. The condo is in need of a renovation! Here you have the chance to make an amazing condo. Ask us for suggestions! New World condo offers a very good location with a short distance to the beach. A number of restaurants and a few small supermarkets just outside the condo building. Enjoy the attractive pool and reception area. Parking for cars and motorbikes is available behind the building. Rooms: Combined living room/kitchen, 3 bedrooms, 3 bathrooms. Living area: 173 m², including 3 balconies. This 1 bedroom condo on the 11th floor of Rayong Condochain offers a very attractive terrace in the condo buildings front. The condo consists of a combined living room/kitchen, 1 bedroom and 1 bathroom. Large windows gives the condo lots of lights in the living room. Slide doors leads out to one smaller balcony and also out to the terrace. Both offerering amazing views of the sunset and the surrounding areas. On the terrace there is another kitchen counter with a sink and a tap. There is also a induction hob with 4 induction zones. Enjoy cooking on the terrace with some cold to drink! Lots os space for dining table/chairs and comfortable chairs for relaxing times. This is a perfect place for relaxing times with family and friends! Also in the bedroom there are slidedoors leading out to a balcony also with amazing views of the sunset and the surrounding area. On one side of the room, there is a large closet with plenty of storage space. Decision by the Juristic person of Rayong Condochain to fix the cracks in the building and to paint the internal and external area of the building. Living area: 83 m² (893 ft²) including 2 balconies and 1 large terrace. This nice 1 bedroom condo in Rayong Condochain offers 3 balconies on the backside of the condo (more quiet and away from the beach road). The condo consists of a combined living room and kitchen and 1 bedroom and 1 bathroom. This is the condo is perfect for those who enjoy relaxing times after a day at the beach with family and friends. Excellent option for families with kids! Good for rental business! Living area: 63 m² including 3 balconies. 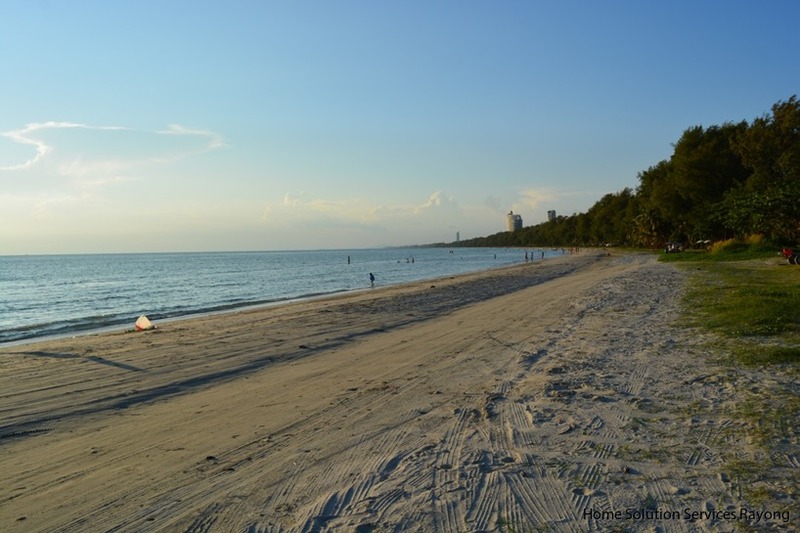 BEACH PARK CONDO - A WELL KEPT SECRET! Living area: 39 m² (including 1 balcony). This condo is located on the 4th floor of the Royal Rayong. It is located almost in the middle of the building with a view of the coastal road and the swimming pool. the beach can be seen through the trees. The condo consists of a spacious combined living room/bedroom, a kitchen space, a bathroom and a large balcony (14m²). Some small work is needed in the condo. Ask us about the renovations. This condo (Nautilus style) consists of 1 bedrooms, 1 bathroom and the combined living room/kitchen (with hob and extractor fan). 2 AC included in the price. This condo (Rainbow style) consists of 2 bedroom, 2 bathrooms and the combined living room/kitchen (with hob and extractor fan). 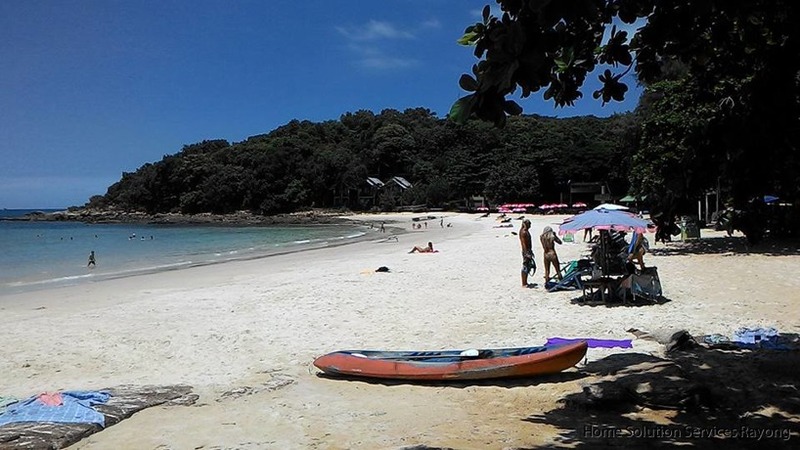 Short distance to lovely Ao Khai and Mae Phim beach. The condo is sold with 2 AC included. Wrap around balcony! 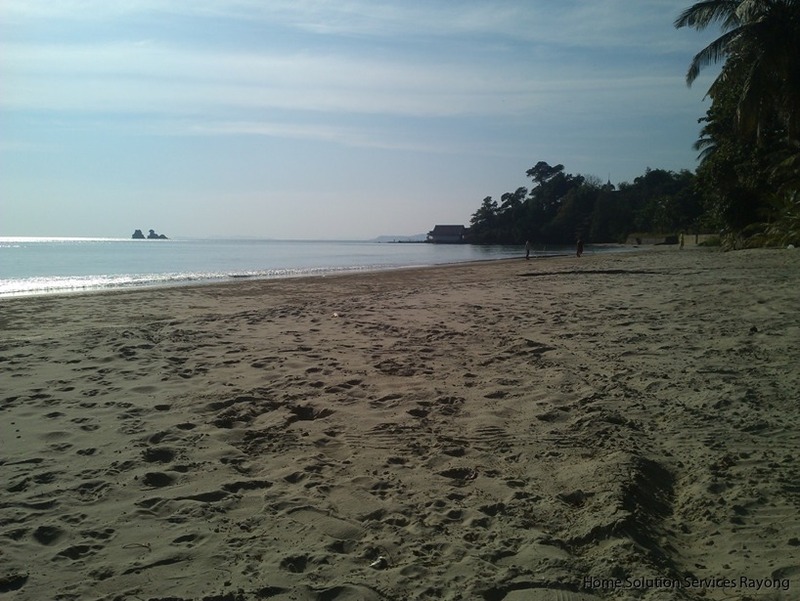 Short distance to lovely Ao Khai and Mae Phim beach. The condo is sold with 2 AC included. This condo (Dolphin style) consists of 1 bedroom, 1 bathroom and the combined living room/kitchen (with hob and extractor fan). 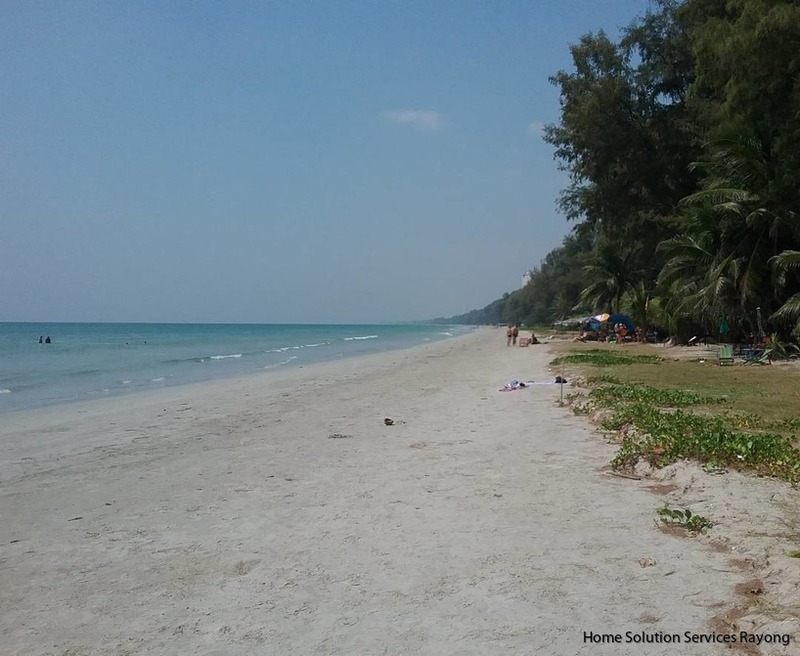 Enjoy this beach condo in Rayong Condochain only 80 meters from the beach. The condo consists of a combined living room/bedroom and 1 bathroom. The condo is equipped with 2 beds. The condo is also furnished with a table, and a refrigerator. The condo has been partly renovated with new floor tiles and newly painted walls! We can now offer this attractive 1 bedroom condo on the 3rd floor of Royal Rayong. The condo consists of a spacious combined living room and kitchen, 1 bedroom with private balcony and 1 bathroom. 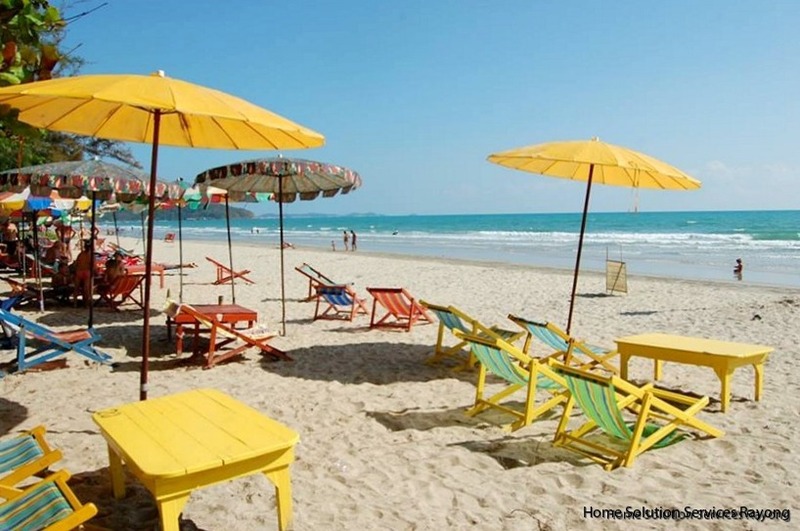 Added to this is a large balcony with views partly to the sea and alos towards Ban Phe area. The condo is fitted with built closets and cabinets of good quality. The kitchen is equipped with a stove and sink and good storage facilities. 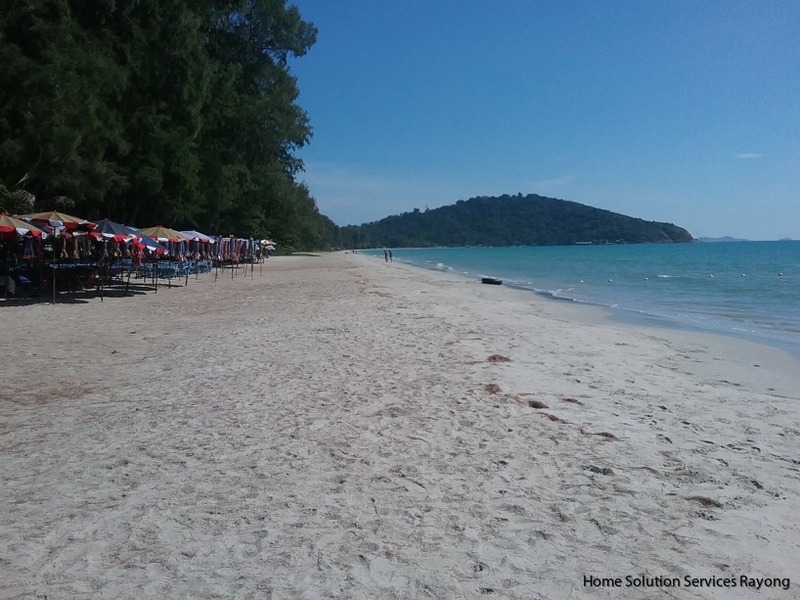 If you have any questions about condos for sale in Rayong.